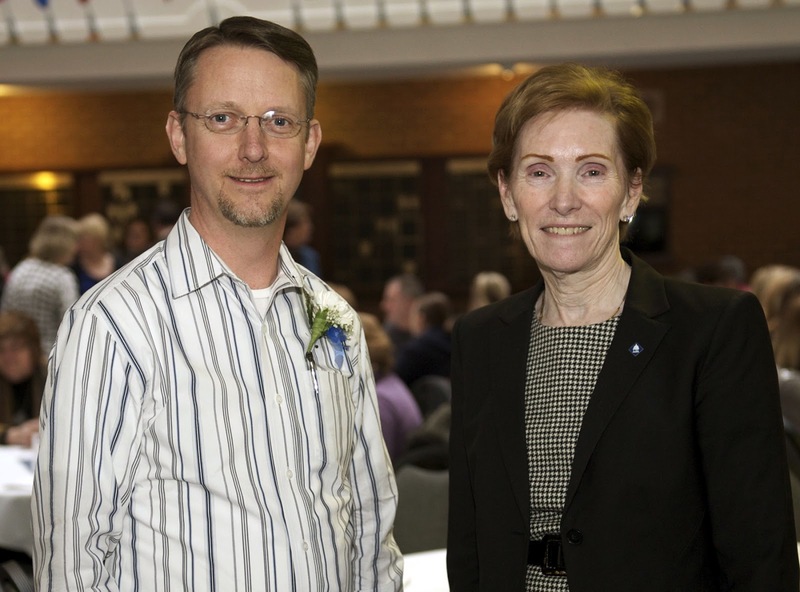 Chancellor's Blog: The UIS 2012 Employee of the Year – Leadership lived! The UIS 2012 Employee of the Year – Leadership lived! We celebrated our UIS Employee of the Year yesterday and I was delighted to announce that Randy Williams has earned this prestigious honor. Randy is an exceptionally talented and creative food service administrator. Whether planning a donor event in the Chancellor's home, a spaghetti feed for 500 students or a reception for members of the Illinois legislature; Randy and his terrific team of food service professionals always creates an enjoyable, high-quality event. One of his nominators remarked that Randy consistently brings to work a positive, winning, can-do attitude. Congratulations, Randy, and thanks for all that you do to enhance the reputation of UIS. An exceptional example of "Leadership lived"